Tea tree oil is a natural antiseptic that helps heal cuts and bruises as well as skin conditions like Acne Dermatitis, Psoriasis, Eczema, Rosacea, insect bites, & athlete's foot.. 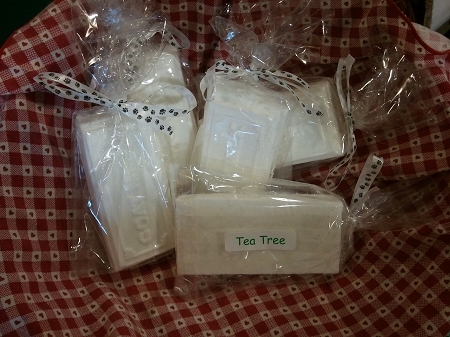 Tea Tree oil is regarded as one of the strongest natural antiseptics known to man. Because of its ability to inhibit and kill growth of pathogenic bacteria, fungi and viruses, it makes a great medicinal soap for cuts and scrapes as well as a multi-purpose antibacterial and facial soap for every day use.